Whether you are hitting the lake, the river or the ocean, making sure your boat, and your passengers, play it safe while playing on the water will make your voyage a successful one. Here’s your essential safety list for boating fun this summer. You may be a really strong swimmer, but being thrown overboard a boat unexpectedly can make the water more dangerous even for experienced swimmers. Injury, strong currents and swallowing water can turn a great swimmer into a drowning victim. 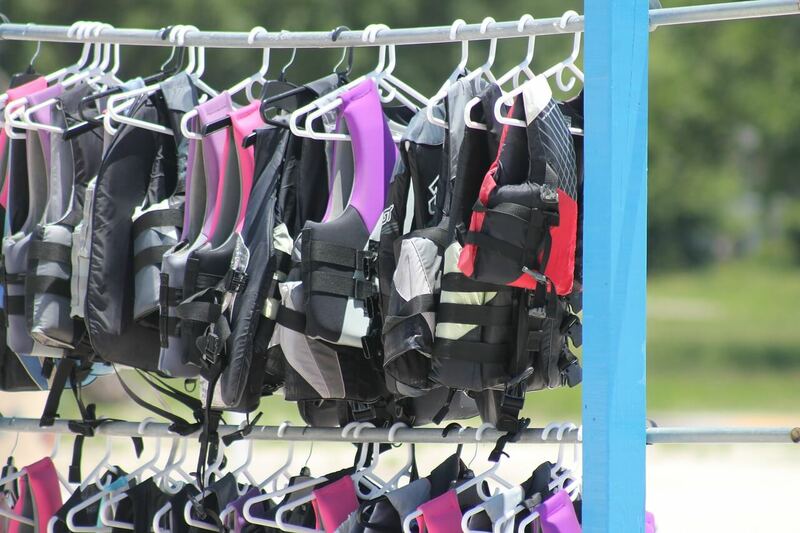 Protect yourself and your passengers from drowning accidents by requiring life jackets. In Massachusetts, passengers on boats under the age of 12 are required to wear a life jacket on board. Even if your adult passengers decline a life jacket, carry enough for each passenger aboard your boat. 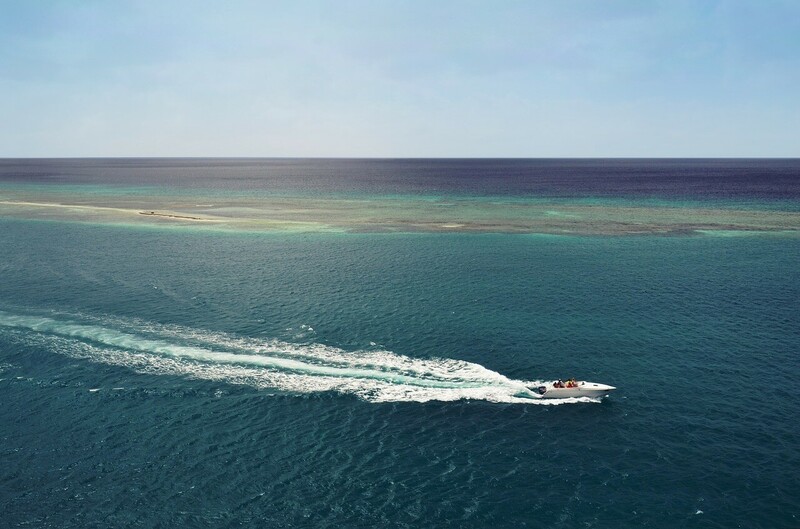 Recreational boating and fishing usually involve coolers of refreshments. If these refreshments include alcohol, remember that boating impaired is dangerous and against the law. There is also a higher chance of accidents and drowning when impaired. Heat and sun adds to dehydration, so be sure to stock the cooler with a lot of fresh water. In short, it’s best to leave the alcohol on dry land. Weather is constantly changing and being outside on the water during rain and storms is extra dangerous. Check the weather forecast before setting sail, and bring a radio on the boat to keep tuned in to local weather reports or download a weather app on your phone (but remember to bring a phone charger). Be aware of the weather around you while boating. If you notice sudden changes in temperature or darkening clouds ahead, play it safe and return to the shore quickly. Did you know the US Coast Guard provides free vessel safety checks? 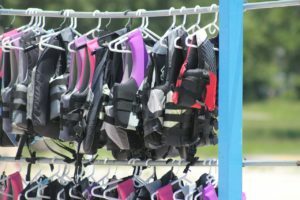 During the free boat safety examinations they’ll make sure your safety equipment on board is fully operational and meets local and federal standards. They’ll also provide tips and recommendations for fun and safe boating. Brush up on your boat safety knowledge and help your children learn boat safety by taking a course. The Massachusetts Boat and Recreation Vehicle Safety Bureau offers “Boat Massachusetts” courses for boaters of all ages and experience who want to learn the fundamentals of boat safety along with legal and ethical responsibilities. Their website is also a great resource for local boating guidelines. When you are not operating your boat, make sure it is safely stored in a secured, indoor area protected from the outside elements and from tampering by trespassers. If you do not have extra space in your garage for storing your boat, consider a drive-up storage unit with ample room to hitch your boat and make accessing your boat quick and easy. Check out one of EZ Storage’s three Boston boat storage options.